So just a week or two ago I talked about the new blackjack movie “21” coming out and the new online casino game, blackjack on steroids (or as some call it, Crazy21.) A lot of people think just like “Rounders” took both poker to a new level, this movie will do the same for blackjack. So now I’m watching the proverbial toaster (or pot of boiling water), waiting for it to hit. This isn’t going to take years, is it? This is 2008, man, and I’m a card-carrying member of the short attention span generation who has no understanding of long-term gratification. Let’s go already! I told my buddy in Vegas last weekend to ask people about Crazy21…no one had even heard of it yet. So far only 888 seems to be offering it. On another note, what determines which movies spark trends and which don’t? 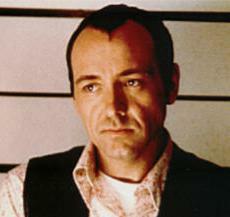 Kevin Spacey’s in this movie. Everyone loved “The Usual Suspects”. How come that didn’t cause everyone to go out and burn down entire villages like Keyser Soze? Just wondering. Allright, Crazy21, let’s go. Coming soon to online casinos near you.